Lockback Knife - 127mm Closed. Genuine Damascus Steel Blade with detailed File Work on Top of Blade and Main Spring. Between 176 & 225 Layers in each Blade. 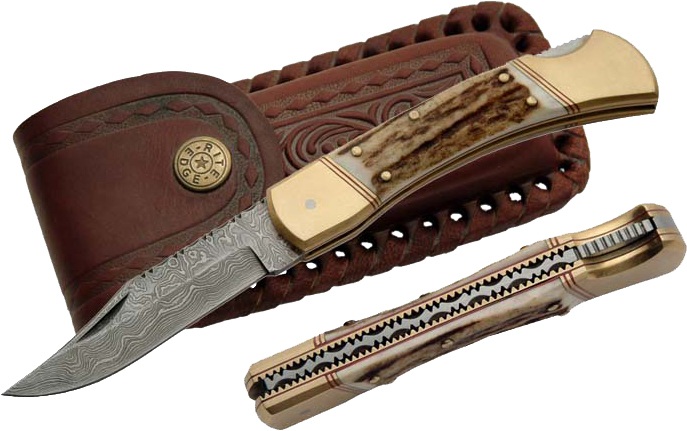 Stag Handle with Brass Bolsters, Leather Sheath included.